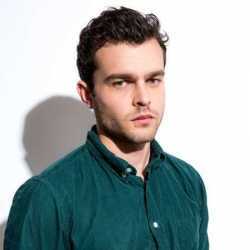 Television and Radio host, New Anchor. majored in Political Science and minored in Homeland Security from Pennsylvania State University. The blonde beauty and American host Liz Wheeler is a social media manager, television anchor, and conservative Activist associated with One America News. She is best known for hosting her show Tipping Point with Liz Wheeler which has around 66k subscribers on YouTube as of November 2018. Liz Wheeler was born as Elizabeth Wheeler on July 12, 1989, and is currently 29 years old. She was born in Sharonville, Ohio. From an early age, she wanted to involve in politics. Her parents were middle-class people as her father runs a small business and her mother is a housewife. Wheeler has raised alongside her four siblings; three sisters and a brother. She is of American nationality and belongs to Caucasian ethnicity. As a child, Wheeler loved writing blogs and the first blog she wrote was Erring on the side of life which was about the issue of abortion in American society. She attended Pennsylvania State University which is also known as PSU and Penn State where she studied Political Science. Wheeler majored in Political Science and minored in Homeland Security. After her graduation, Wheeler started doing jobs and worked as a social media manager for Recruit Military. She hadn't initially thought of entering in the journalism field but was into writing independent blogs and also wanted to do speaking tours. 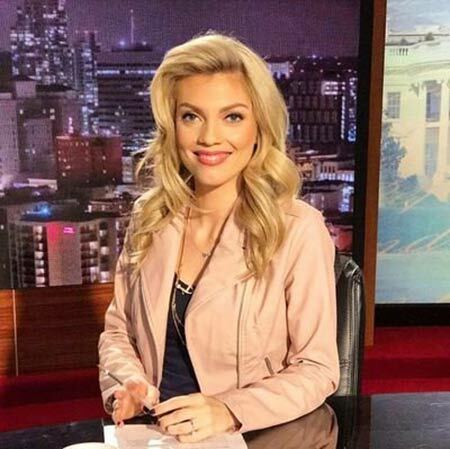 Liz Wheeler is professionally a host and is associated with California based Television network, One America News where she is the host of the show Tipping Point since October 2015. Her show has around 61k subscribers on YouTube. Besides she is also an author, presenter and even a member of the Board of Zoning Appeals in Ohio. Wheeler's first publication was Eering on the Side of Life which addressed the issues related to abortion. She also has a hand along with 13 other authors in making the book Young, Conservative and Why It's Smart to be like Us which basically includes stories about 14 American Millennials and their journey to conservatism. The book was a success and managed to rank second on Amazon's Kindle Bestseller in the civic category. Before Liz joined the Television network she worked as a social media consultant and digital marketing. Wheeler was a spokesperson for Turning point the USA where she mostly talked about capitalism and the free market. In 2015 she was a children's mentor at the Nativity Prep Academy in San Diego. The Television host Liz Wheeler's net worth is reported to be around $1 million. Her main source of earning is from her career as a television host and her association with One America News Television Network. The average salary of a Television host in the United States is $53k annually and their pay can range from $28.7k to $137k. 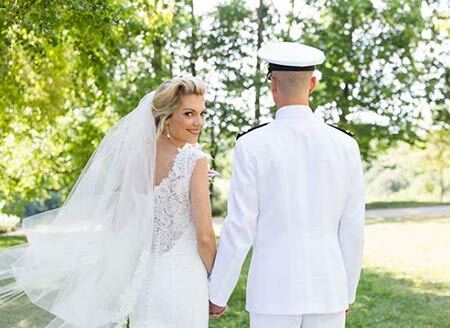 Liz Wheeler is a married woman who tied the knot on August 2017 with her longtime boyfriend. She showed her engagement ring on her Instagram on August 22, 2017, and a year later posted her wedding photos on the site. However, the details about her husband is still a mystery. She has been successful in making her husband hidden from the media and posts photos showing only the backside of her partner. The couple is happily married and lives a prosperous married life together. They don't share any children as of yet and are focused on their individual career. The two celebrated their first marriage anniversary in August 2018. Liz Wheeler has achieved great heights in her career and has been awarded various titles like second place in Top 10 Small Business Facebook Pages of 2012 and Sweet Sixteen in Mashable's America's Most Sociable Small Business' 2014. Wheeler is pretty active on the social media handles and has around 24.1K and 234k followers on Instagram & Twitter respectively as of October 2018. She also loves horse riding. Liz Wheeler's height: she has a perfect height and body shape. Here is a video about Liz Wheeler taking about capitalism vs socialism.